Monday in a Picture – What’s in a Name? Last week, His Majesty King Mswati III celebrated his 50th birthday with Swazis and others. The national celebration, called the 50/50 celebration, also commemorated 50 years of independence from British rule. Thousands of Swazis and guests gathered in Manzini for dancing, singing and merriment. While His Majesty’s speech touched on several topics, one of the biggest was his changing of the country’s name. 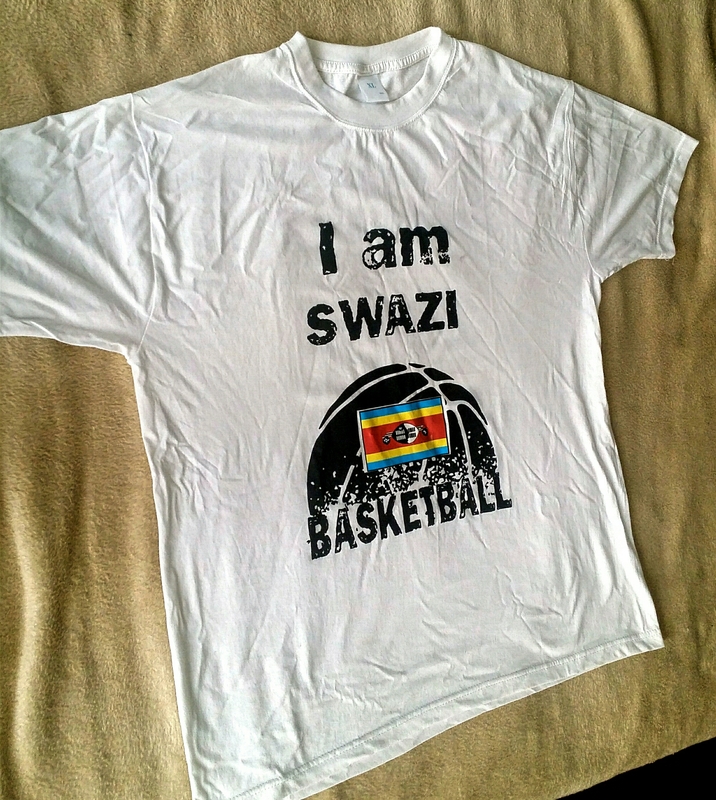 What was formerly the Kingdom of Swaziland is now the Kingdom of eSwatini. The king stated during this declaration that a big part of this decision was because of what they called themselves before British rule. Fifty years ago, British rule became a thing of the past. Last Thursday, the British name for the country became a thing of the past. I was with a small group of PCVs and friends in Mavuso stadium when the king made this declaration. There was an eruption of applause and cheering upon the declaration. Some friends have asked me what I think about the name change. While I don’t have strong opinions, I think it’s a beautiful thing to be true to your identity and to reclaim any identity you may have lost. There’s beauty in the realization that you haven’t been true to yourself; for it’s a starting point of redemption. For that, I am happy. The above picture was taken during the 50/50 celebration while His Majesty was giving his speech. The majority of transportation around Swaziland is done by minibus taxis, known as khombis. Imagine hundreds of fifteen passenger vans (typically Toyota Quantums or Mercedes Benz Sprinters) taking men, women, children, and chickens everywhere. The khombis travel through the cities and the rural communities. They travel on paved, tar roads, and on gravelly, dirt roads. Although the vans are 15 passenger vans, sometimes there are more than 15 passengers on board. The good news is that everyone gets to wherever they are going. The not so good news is that personal space doesn’t exist when riding in khombis (or buses) here. One of the features of Swazi transportation is the hub and spoke system. There are two major transportation hubs in Swaziland: Mbabane (the capital) and Manzini. These transportation hubs, known as bus ranks, are typically filled with khombis, buses, and young men yelling and/or whistling to advertise their khombi or bus, and where it’s going. For example, you might hear a loud whistle followed by Mankayane! Mankayane! Mankayane! If you don’t hear your destination being yelled, you can always stop to ask the bobhuti (pronounced bo-boo-tee), or young men, where you can find the khombi or bus that you need. One of the really helpful things about the bus rank is that khombis and buses tend to be in the same spot or area everyday. While buses tend to have specified (though not posted) departure times, khombis tend to leave whenever they fill up with passengers. This could be why the bobhuti sometimes grab your bags while yelling questions like, “Uyaphi?” (pronounced oo-yah-pee), or where are you going? It makes great sense. A khombi sitting in the bus rank is not a khombi making money. You can also find all kinds of items for sale at the bus rank. There are clothing items, cosmetics, snack food, produce, drinks, and more. While buses are waiting to depart, various vendors will also come around to sell their wares. There are also various shops and stores that surround the bus rank. Because most urban businesses in Swaziland close in the early evening (between 5PM and 7PM), the bus rank has much less activity and traffic at this time. 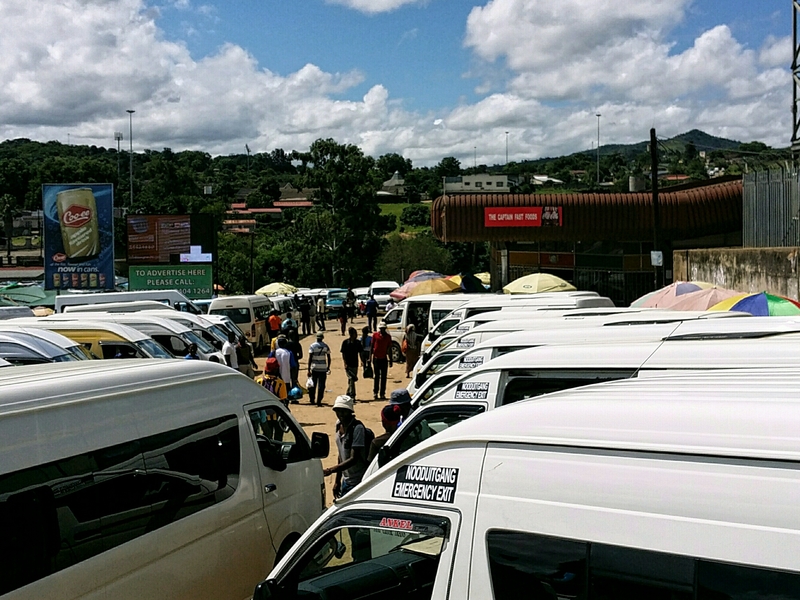 The picture above shows rows of khombis parked and waiting to fill up with passengers in the Manzini bus rank, which is the largest in the country.